Unmanned Aerial Vehicles have been around for some decades. However, the last years have seen the emergence of a market where drones have begun to be used in civilian applications such as precision agriculture, structure inspection, recording in cinema and tv news, and even as toys for amusement. The latter has been pushed forward by the increase of computational power and miniaturisation of the computer processors, quite suitable to be carried on board micro aerial vehicles. Therefore, drones can be seen as robotics systems where artificial intelligence algorithms can run onboard the vehicles, thus controlling the actuators of the vehicle, which correspond to the motors of each propeller. The latter has opened the door to new avenues of research in the field of robotics systems, where robotics and even computer vision techniques can be combined to develop smart drones capable of taking decisions autonomously. The capacity to observe the environment in which a robotic system navigates is an essential competence for a robot to achieve autonomous behaviour genuinely. For a drone, navigating through a previously-unseen environment is of paramount importance as colliding with obstacles can be fatal for a flying body. Fortunately, cameras have become cheaper and smaller and therefore, drones can also carry one or several of them onboard. In this sense, computer vision comes in handy as real-time video processing of the imagery, captured by the onboard camera, may lead to valuable information such as visual-based localisation of the drone (useful when GPS-signal or any other external localisation system is not available) generation of a 3D mapping of the scene, identification of dangerous objects and safe places to land. On the other hand, autonomous navigation is strongly coupled with control techniques enabling the aerial vehicle to fly towards a point in space. Well designed controllers are essential to achieving stable flight and to become robust against perturbations, which in the case of a drone, can be due to wind currents, ground effect, variations in the payload, etc. Therefore, by combining vision and control techniques we can establish the path towards smart drones capable of localising themselves, inferring 3D information of the scene and able to take decisions autonomously. This workshop will take place in Puebla, Mexico. Hosted by the Instituto Nacional de Astrofísica Óptica y Electrónica (INAOE) organised by Dr Jose Martinez-Carranza from the Computer Science Department at INAOE. 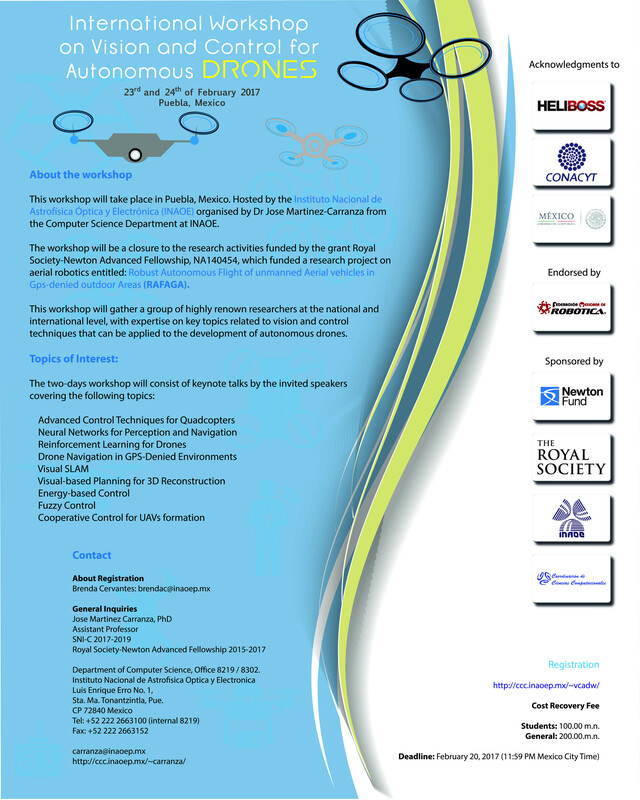 The workshop will be a closure to the research activities funded by the grant Royal Society-Newton Advanced Fellowship, NA140454, which funded a research project on aerial robotics entitled: Robust Autonomous Flight of unmanned Aerial vehicles in Gps-denied outdoor Areas (RAFAGA). 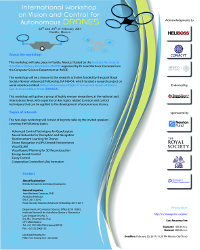 This workshop will gather a group of highly renown researchers at the national and international level, with expertise on key topics related to vision and control techniques that can be applied to the development of autonomous drones. 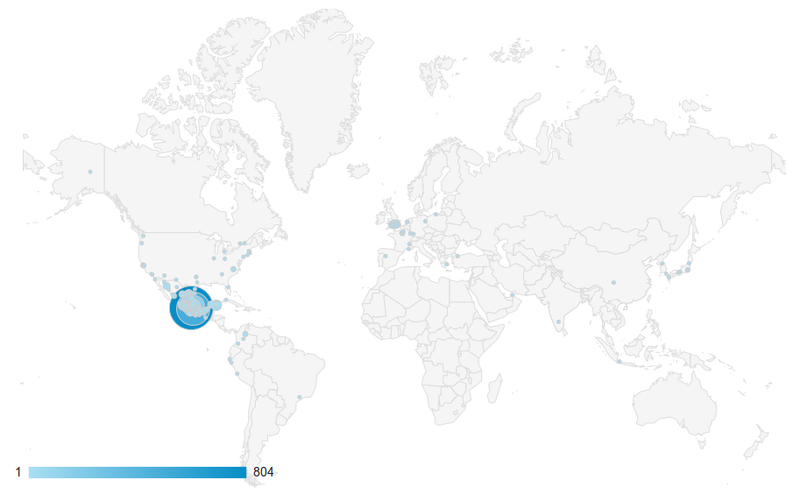 This website has been visited 4,003 times!